Phil Elverum’s Mount Eerie project picked up in a similar place to where his previous project, The Microphones, left off in 2003. Considered one of the most innovative indie rock bands of the turn of the millennium and a massive influence on a generation of bands to come, Elverum simply felt that chapter of his career has reached its logical end. While fans may have feared that they would lose the artist who gave them the universally-beloved album The Glow Pt. 2 (2001), they could not have been more wrong. 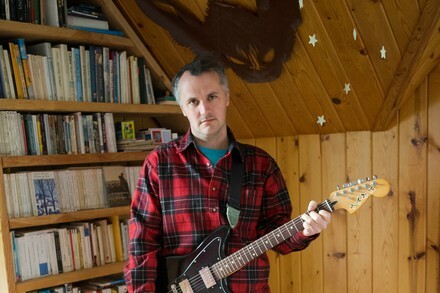 Upon the release of The Microphones’ final album, Mount Eerie (2003), Elverum adopted that same moniker for his songwriting going forward. Mount Eerie would become beloved for his imaginative and introspective lyrics over seven albums in the next ten years. Highlights include 2009’s Wind’s Poem, which dabbled in black metal, and the companion albums Clear Moon and Ocean’s Roar in 2012, which dealt in polar extremes of ambient music. Then came 2017 and the death of Elverum’s wife and mother of his child. The subject cannot be avoided when discussing that year’s A Crow Looked At Me, which found Elverum starkly documenting the overbearing flood of emotion and realization that comes with unimaginable grief. It was recorded with one microphone in the room where she died, and takes a realist, sober approach to Elverum’s experience that avoids any artistic commodification of grief. The result is a one-of-a-kind record that gives the listener a window into death, and more importantly life, without any pretense of transcendence. Grieving and living don't begin and end in a set of songs. Elverum continues to demonstrate this with the unthinkable task of taking these songs on the road and a follow-up record unveiled for March 2018. If he can march forward through the trenches of life's all-time lows, hopefully it means we can do the same.